If you are a regular reader you are amazing thank you, and if you are a newbie, hello and welcome. 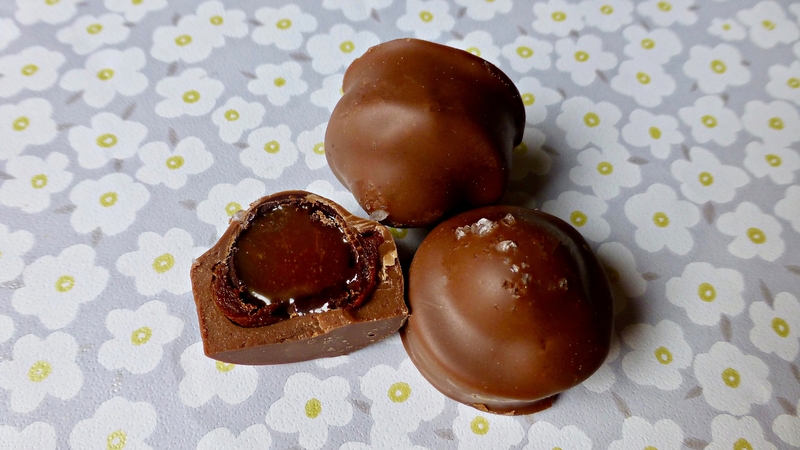 Last week I reviewed two praline cup varieties from The Grown Up Chocolate Company of which I adored one. If you want to find out which one then read my review here. 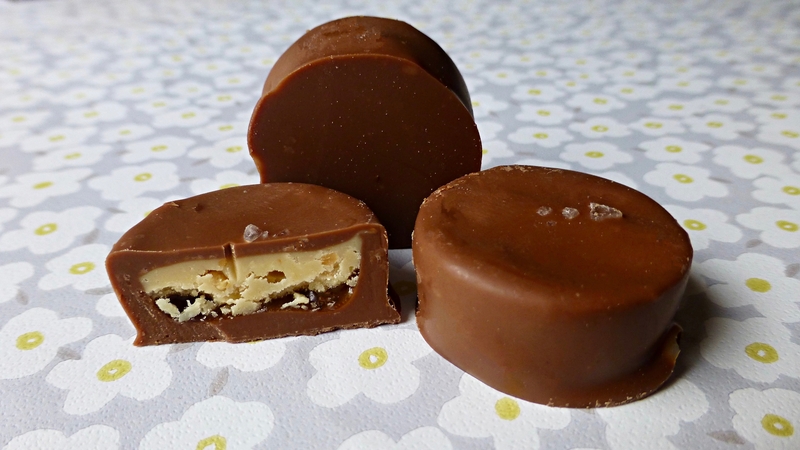 As promised the new range on offer from The Grown Up Chocolate Company continues today with Gorgeously Gooey Caramel Truffle Cups* and Perfectly Buttery Peanutty Cups*. Their names alone sound wonderful don’t they? Slicing this domed chocolate open, the gooey caramel was practically making a run for it. Glossy, sticky and sweet the caramel was delightful against the thick milk chocolate. The salty pieces on top were a nice touch to give this an unexpected salted caramel twist. I can’t say I identified the toffee within all that runny caramel and nor was it overly truffle-esque. To me this is just a caramel chocolate, but a mighty fine one. I think we can all imagine my excitement when these ones arrived. I have actually been on the hunt for these for a considerable amount of time and was overjoyed that they were included. In a nutshell these round morsels were glorious. Thick authentic peanut butter filling with a smidge of caramel to help with the overall texture. The salt specks on top once again gave a nice salty backdrop that of course worked perfectly with the peanuts. 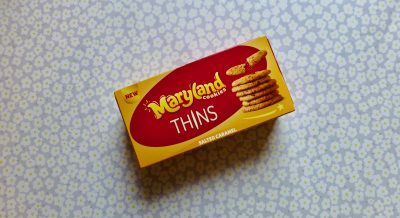 The quality was there and it was certainly executed well, the only problem is they are over too quick and you have to eat another. Oh Grown Up Chocolate Company you are clever beans you. I could take or leave the Gorgeously Gooey Caramel Truffle Cups, but the Perfectly Buttery Peanutty Cups are where the party is at. Of the new collection my favourites are of course these Peanutty Cups along with the Spectacular Speculicious Praline Cups. 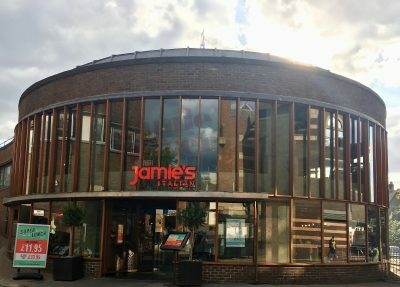 If you fancy giving them or any of their products a go, visit their website here for stockists and online ordering. 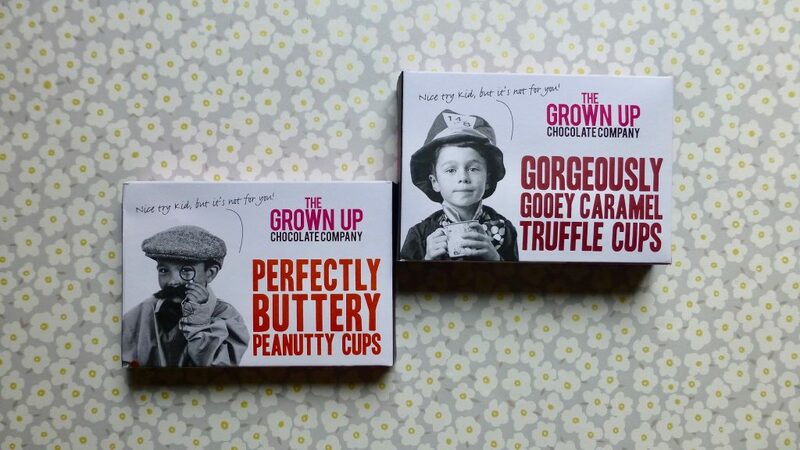 Which of the Grown Up Chocolate Company would you like to try or which do you love the most? Let me know. *A huge thank you to The Grown Up Chocolate Company for sending me these to try. All opinions are my own.